We unblock drains in Brighton & Hove using high pressure jetting equipment, which ranges in power from 2,000 PSI to 10,000 PSI. Our call out team comprises of a van, trailer, lorry mounted units and a designated drain unblocking expert. We can carry out root cutting, de-greasing, de-scaling, and cleansing of pipework with various specialist jet heads. Coastal Drains Ltd was formed in April 2006 and specialise in drain unblocking. We operate throughout the Brighton area and are 5 star rated according to our customners on Check-a-Trade. We offer drainage services to clients throughout Brighton, so call us now for a free quote. Unblocked main drain on Sunday. Outdoor manhole cover blocked and over flowing. Blocked drain with overflow of sewage from toilet. Coastal Drains have a fantastic history of unblocking drains throughout the Brighton area and are experts in dealing with blocked drains in Brighton. We have a team of experts on hand to get to your property in Brighton quickly, diagnose and fix the problem. We carry out many types of drain unblocking service, including drain clearance, toilets, cleaning and emergency 24 hour call outs. To unblock drains we use high pressure jetting equipment, which ranges in power from 2,000 PSI to 10,000 PSI. We have an expert team trained in finding the root of the problem quickly and effectively. Our van, trailer and lorry mounted units can meet any requirements including problematic access to site. We also carry out root cutting, de-greasing, de-scaling, and cleansing of pipework with various specialist jet heads. Brighton is a city with a rich history and a lot of the properties are Victorian. This means we frequently have customers calling us about their blocked drains. 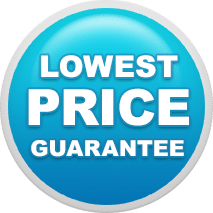 Our testimonials on Check-a-Trade and elsewhere attest to the standard of our work, and we take pride in doing a thorough cost effective job. We have JetVac vehicles at our disposal to empty the system preventing flooding until the defective pipework is returned to service. If you have blocked drains and you live in Brighton or Hove then call us today for free advice and quote. Our team at Coastal Drains are proud to represent the city of Brighton and Hove, and are happy to service any drainage-related issues. Servicing drains across the south of England, we undertake any drain-related issue, no matter how big or small. Our team offer unrivalled services across Brighton and Hove as we firmly believe that customer satisfaction should be the number one priority in every organisation. As one of the leading drainage companies in the UK, we know all too well how frustrating having blocked drains can be. This is why our team here at Coastal Drains offer quick, trusted and efficient service to all of our clients within the Brighton and Hove area. We truly believe in the idea that prevention is better than a cure and our work merits that concept. Why? 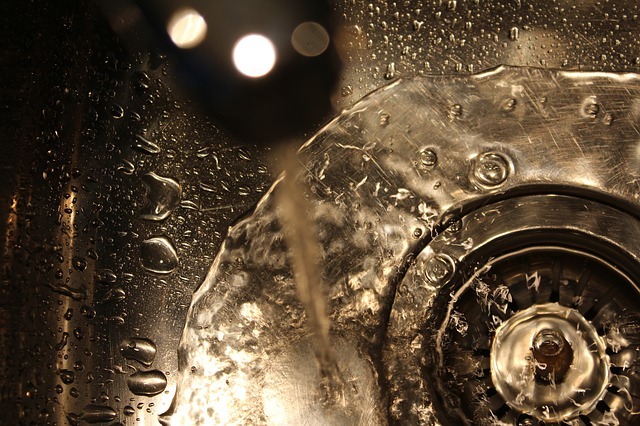 Because we believe that educating our customers on how to manage their drain issues in the future can help cut costs in regard to regularly calling drain experts to fix problems that could have been prevented with some simple tips. 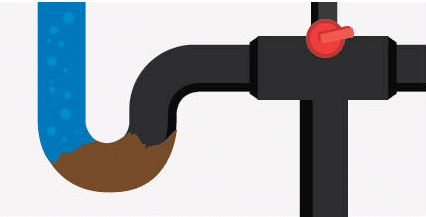 Keeping your drains in top condition is our main aim (aside from customer care, of course!). So, if you think you may have issues with blocked drains, why not give our team here at Coastal Drains a call? Even if it’s for some friendly advice, our team are here to answer any concerns of queries that you may have. The sewer connection is one of the most vital plumbing connections for your property as it ensures that sewage is transported from your property to a treatment plant. If you do not have some kind of sewage connection in place, you must get it sorted! Thankfully, at Coastal Drains, our team can provide a main sewer connection for your property – offering you a trouble-free way of disposing of sewage and waste-water. If you would like to know more about our sewer connection services, please do not hesitate to call our team today for more information. Here at Coastal Drains, we’re interested about anything drainage-related. That’s why we have a blog dedicated to news, information, ideas and queries answering everything to do with drains and any related topics. Brighton’s sewage system for example, is very interesting. Our article on The History of Brighton Sewage is definitely worth a read if you’re interested in knowing more about how not only Brighton but the whole of the UK switched it’s drainage policy in the 1960s, then why not have a read? We have serviced many customers within Brighton and Hove. From stubborn blockages in sinks to complex moling jobs in large properties, there’s nothing our team cannot handle. We pride ourselves on our ability to perform a variety of drain-related tasks for all of our customers. If you’re worried about the condition of the sink(s) in your property, it’s safer to give us a call, rather than wait until the problem worsens. Having a blocked sink can lead to numerous other drainage issues, all of which may cost you a small fortune to rectify in the future. Coastal Drains are your go-to drainage company in Brighton. We tackle the horrible jobs so you don’t have to. And yes, that does include fixing the pesky problem of a blocked toilet. Here at Coastal Drains, we know from experience that having a blocked toilet is one of the most frustrating problems in any bathroom. The inconvenience of it all and the issue of hygiene can make it a difficult and unsanitary problem to fix on your own. But do not worry, Coastal Drains are here to fix the problem for you. Repairing a blocked toilet may seem like a simple task but it is often caused by a far more serious blockage further along your piping system. If you have a blocked toilet, give us a call so that we can unblock it for you and prevent any further damage. Here at Coastal Drains, we have a large customer base in the sunny seaside city of Brighton and we are proud to offer our drainage services to customers in the area. We have been serving customers in Brighton for many years and always enjoy visiting the city on various jobs. The Coastal Drains HQ is based in Lancing, allowing us to serve our Brighton customers with ease. Although we are a relatively young business, we believe our popularity is due to the unrivalled level of customer service we offer. It is this which keeps the customer recommendations flooding in, boosting our business. If you don’t believe us, read our testimonials on Check-a-Trade so you can discover for yourself the number of satisfied customers we have served through our excellent services. Discover for yourself why we are the number one drain repair service for the Southeast of England. If you live in Brighton and are struggling with the problem of a blocked toilet, give us a call today – we would be more than happy to offer you our services! Blocked toilets are a frustrating problem to deal with and we are passionate about helping our customers out of these difficult situations, which is why we unblocked toilets throughout the following areas: Billingshurst, Brighton, Bognor Regis, Hove, Chichester, Seaford, Storrington, Worthing, Arundel, Crowborough, Arundel, Haywards Heath, Horsham, Crawley, and Burgess Hill. If you live or work in any of the above areas and need help with a blocked toilet. If you are struggling with drainage issues, or if you have a blocked toilet that needs repairing, our professional team of drainage experts are available to fix the problem. If you live in Brighton, our team will be with you in no time, fully-equipped with the knowledge and experience to diagnose the problem and fix it completely. Let our professionals do the dirty work for you, call today! Looking for drain repairs in Brighton? Coastal Drain offer all the emergency services you need, acting promptly and quickly, with the minimum logistic discomfort and covers the whole of Brighton and Hove. Our range of drain repair methods uses the most advanced technologies and thanks to our trained technicians we can provide a fully efficient and integrated service. We cover the whole of Brighton and Hove and offer free quotes and emergency response times. We can also cover insurance claims. Where traditional methods are necessary, we will make use of all of our expertise in all types and sizes of excavation: Coastal Drains’ expert supervisors and skilled operatives will find the most suitable solution to your problems, plan the intervention and carry out drainage replacement and blocked drain repair in the shortest time possible. When the damage covers an area too great to use Structural Patch Lining, Drain Relining technology is a better option because it is more cost effective than excavation and ensures the minimum disruption possible. Furthermore, in most cases it can be installed and cured on the same day, although the timing depends on the type of resin and the ambient temperature. The damaged drain is filled with a resin-impregnated liner which expands through water or air pressure. The liner is installed against the sides of the damaged drain until it cures. The type of resin used and the ambient temperature impact upon the curing time. We have many happy customers throughout Brighton and Hove, and pride ourselves on not only our expertise, but also our dedication to customer service. Patch lining is another alternative stress-free method to the excavation that we use to repair damaged pipes and which solve and reduces the risk of repurposing of problems like leaks, root intrusion damage, rat infestation, offset and open joints. 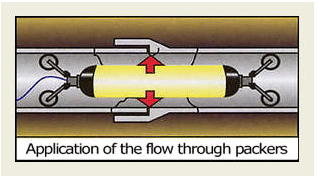 This method avoids the line or the excavation of the whole pipe when the damage is localised in a few points. Through a CCTV inspection of the pipe, it is possible to establish the location of damaged area(s). Then the patch liner material is covered with a resin and mounted on an inflatable tube which is inserted into the pipe and inflated to bond the patch with the damaged section of pipe. The tube will be removed from the pipe when the resin has hardened leaving a strong, durable repair. If you need any drain repairs in Brighton or are suffering from block drain call us, or email us today.